The SW Idaho Chapter of the National Association of Residential Property Managers just released their 4th quarter results. 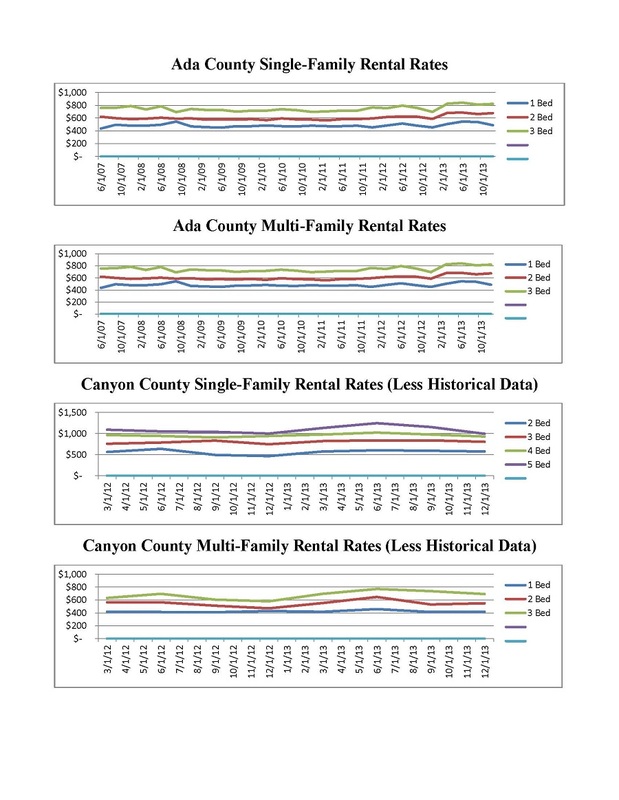 In a year-over-year comparison, NARPM stated that rents increased 7.6% from 2012. If they had the ability to remove long-term leases and isolate the calculations to only include rentals that either renewed or had a turnover in 2013, I think the number would be higher. Another way of saying it is that I believe that for those properties that were eligible for a rent increase, saw an increase greater than 7.6%. First Rate Property Management's vacancy has been below 1% for month's now. Based on the data provided by NARPM, our record low vacancies are the results of procedures. We know that historically, tenants don't like to move during the holidays and cold winter months. 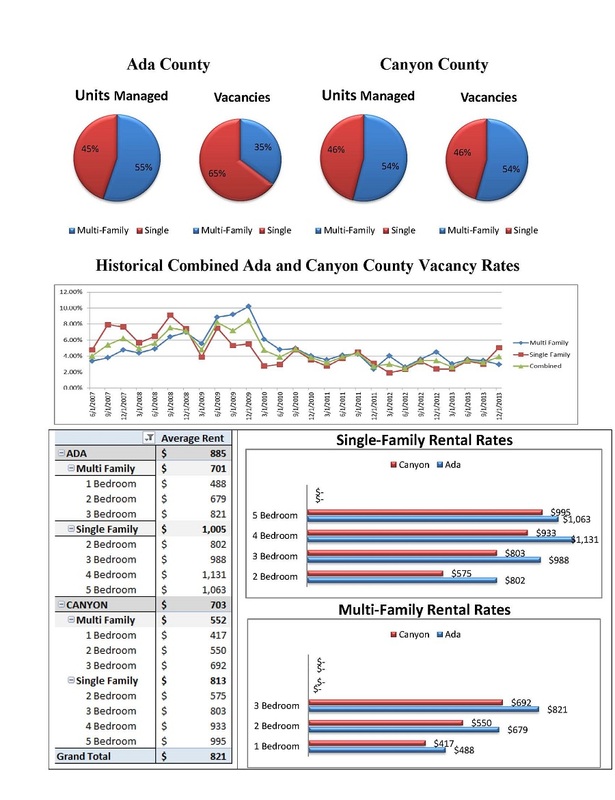 With a low demand, it is common to see lower rents and increased vacancy. Therefore, by design, FRPM purposely doesn't have leases expire during those months. Tony's 2014 Forecast: I believe that we will continue to see increased rents and low vacancies. I say that even though the builders are meeting the demand to rent by building more and more multi-family rents. We're seeing people choosing to rent over buying and as home prices continue to increase, I don't see that demand diminishing. I also believe any rise in interest rates will also help the rental market.